Southfair is a 40-unit affordable property offering 1, 2, and 3 bedroom units in NE Salem. Current monthly rents range from $485 to $740. The maximum number of occupants in a 1 bedroom unit is 3 household members. The maximum number of occupants in a 2 bedroom unit is 5 household members. The maximum number of occupants in a 3 bedroom unit is 6 household members. Exceptions to the occupancy standards can be requested. To be eligible to rent most* units at Southfair, households must meet income qualifications below. 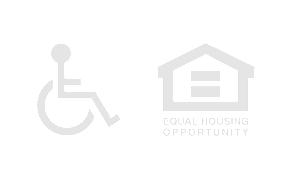 Other eligibility criteria are found in the Southfair Tenant Selection Plan. *Some units have higher or lower income limits. The current wait period estimate for a Southfair vacancy is 18-24 months for 1 bedroom, 24-30 months for 2 bedroom, and 3-4 years for 3 bedroom. Each of the 3 waiting list applications below is treated as a separate waiting list; submitting an application for one does not automatically place you on any other waiting list.